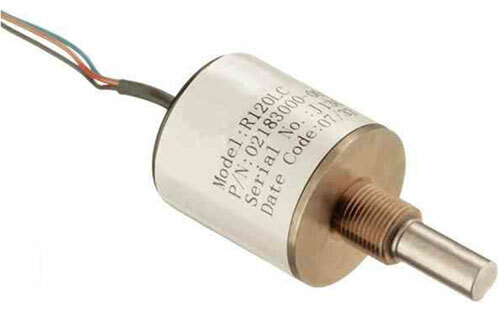 The R120LC RVIT (Rotary Variable Inductance Transducer) is a cost efficient, DC operated non-contact angular position sensor. It provides a smooth 0.5 to 4.5VDC output, ratiometric to the supply voltage and proportional to angular position over the 120 degree sensing range. The R120LC utilizes non-contacting, differential inductive technology, and does not suffer the wear problems experienced by potentiometers. 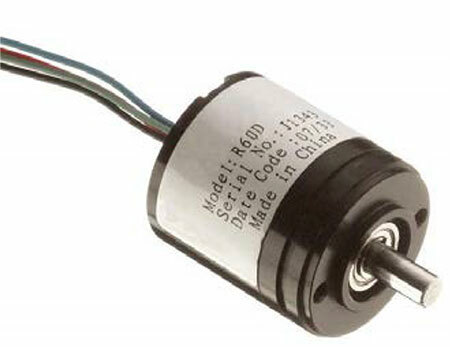 The R30D RVDT (Rotary Variable Differential Transformer) is a DC operated non-contacting rotary position transducer. Integrated signal conditioning enables the R30D to operate from a bipolar ±15 VDC supply, and provide a high level DC output that is proportional to the full angular sensing range of the device. Calibrated for operation over ±30 degrees, the R30D provides a +/-3.75VDC output, with a non-linearity of less than ±0.25% of full range. Extended range operation up to a maximum of ±60 degrees is possible with increased non-linearity. 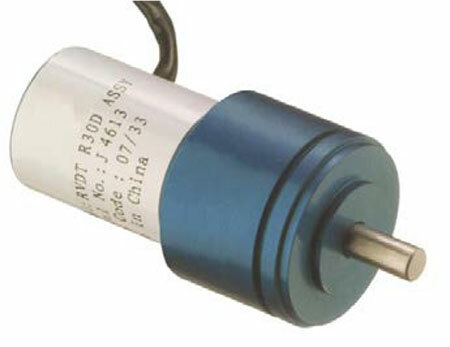 The R60D RVIT (Rotary Variable Inductance Transducer) is a DC operated non-contact angular position sensor. Operating on a ±15VDC supply, the R60D provides a smooth ±7.5VDC output proportional to angular position over a ±60 degree sensing range.